A section of people’s movements and other civil society organisations across India are holding more than 100 protest actions between May 1 and May 7 to mark the 50th anniversary of the establishment of the Asian Development Bank (ADB), highlighting “the gross human rights violations, loss of livelihood, and environmental destructions caused by the ‘development model’ being pushed by ADB and other international financial institutions (IFIs), using public money”. The during the first week of the May, the organisations will hold multiple programmes to “expose” the ADB’s neoliberal capitalist model of growth, where public money was used to promote private corporations, and its failed development paradigm, through raising the larger issues related to issues of accountability and transparency of ADB and other IFIs, the National Association for People’s Movement (NAPM) said in a release. “The model of development pushed ahead by ADB resulted in the loss of livelihood and forced eviction, pushing people to poverty, contradicting ADB’s stated motto of ‘fighting poverty’. In urban areas, the hawkers are the badly hit ones. However, with increasing privatisation of services, even the middle class will not be spared,” the release quoted Shaktiman Ghosh, general secretary National Hawker Federation, a trade union conducting programmes in several states, as saying. The programmes include protests, public talks and lectures to highlight what NAPM called the serious impacts of ADB’s lending, at a time when ADB is celebrating 50 years of expanding its lending portfolio of just over $3 billion during the first decade, to $123 billion during the last decade. The venues range from Bilaspur in Himachal Pradesh to Thiruvananthapuram in Kerala, and Mundra in Gujarat to Dibrugarh in Assam. ‘Peoples’ Forum Against IFIs’, a platform of people’s movements and civil society organisations working on the “ill effects of international financing”, is the one coordinating these 100+ events. The actions are organised by local organisations in a manner which is relevant to them, to highlight their struggles and issues and seek transparency and accountability from IFIs. “ADB needs to seriously review its push for hydro-projects in India, particularly in the Himalayas, in the name of clean energy programme in the light of the adverse environmental and social fallouts of its projects and the complete failure of its safeguard policies in this context,” said Manshi Asher of Himdhara - Environment Research and Action Collective. “Further, the escalation of costs in these projects has put a question mark on the financial feasibility of hydro power projects,” she added. 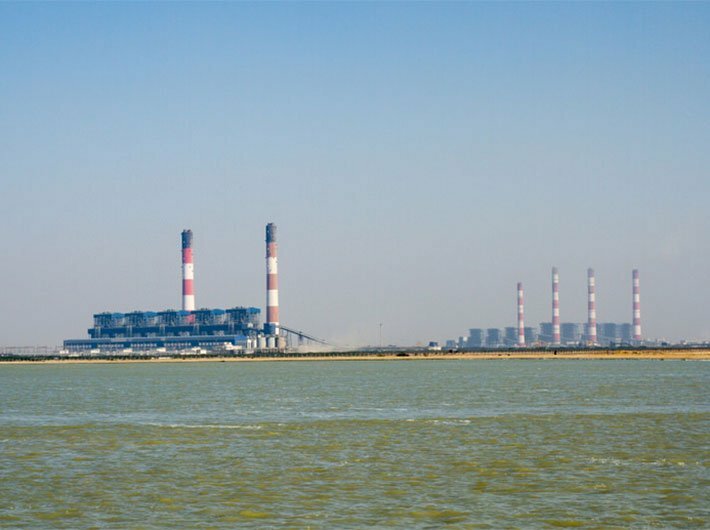 Coastal Gujarat Power Ltd, a $4 billion, 4,000 MW coal based thermal power plant in Munda, Kutch (Gujarat), is one the projects ADB is co-financing, causing damage to people and environment. As confirmed by its own accountability mechanism, Compliance Review Panel, the project has violated ADB’s policies on consultation with communities, the sanctioning of the project was based on erroneous social impact assessment and due to the project the fish catch has reduced drastically, threatening the livelihood of thousands of fishworkers. Also read: Join the club, let’s discuss biodiversity! “Our plea to ADB to restore the livelihood of the fishworkers has fallen on deaf ears. While they are celebrating the 50 years, the fishworkers in Mundra are struggling to meet their ends,” Bharat Patel, general secretary of Machimar Adhikaar Sangharsh Sangathan, said.